Accurate, on-the-spot measurement of marine bunkering is critical for both cost control and relationship management. The Micro Motion® Certified Marine Bunker Measurement Solution (CBMS) provides highly accurate data plus a bunker ticket that is available immediately after the bunker is complete. Depending on the implementation, the bunker measurement is certified by Nederlands Meetinstituut (NMi), the notified body for testing to the guidelines of the European Instruments Directive (MID) and Issuing Authority for OIML (International Organization for Legal Metrology). The Micro Motion meter meets the OIML standard R117-1 and the overall solution meets MID Directive 2004/22/EC Annex MI-005. During a meter trial, the Micro Motion system is frequently compared to the existing volumetric system, or to the volumetric system used by the other party. The comparison typically yields discrepancies that mistakenly call the new system into question. 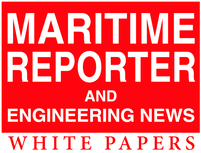 This white paper provides a brief overview of the Micro Motion Certified Marine Bunker Measurement Solution, then examines all the sources of measurement discrepancy and demonstrates that the apparent issues can be caused by a combination of the inherent uncertainties in volumetric measurement and inconsistent bunkering procedures. When appropriate bunkering procedures are followed, the Micro Motion system provides superior accuracy and should be used as the standard. 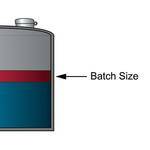 The use of mass flowmeters (MFMs) is becoming standard practice in the transfer of marine fuel. The Marine Port Authority (MPA) of Singapore, which represents a large share of the global bunkering market, announced in April 2014 that the use of MFMs would be mandatory by the start of 2017. MFMs reduce the number of quantity disputes, eliminate time spent performing sounding operations before and after the delivery, and provide suppliers with powerful diagnostic tools for improving their processes. In addition, the MFM can provide the user with additional process metrics that help to prove the accuracy of their delivery quantities as well as their product quality. It is easy to see why MFMs are becoming the industry standard. ExxonMobil Marine Fuels & Lubricants was the first bunker fuel supplier in the marine industry to use a MFMS that has been approved by the Maritime and Port Authority of Singapore for bunker fuel deliveries.